The Audi "Inspiration 172 sales event" offers Irish motorists attractive personal contract plan (PCP ) finance offers, with APR rates from 2.9 per cent per month, as well as a number of exclusive upgrade packages across a range of 172 Audi models. The event takes place across 11 authorised Audi dealerships nationwide from May 15, providing offers tailored to existing and future Audi customers. The iconic Audi A4 continues to be a range leader and, in the first four months of 2017, it was the best-selling saloon in the B premium motor segment. Renowned for its sleek and elegant design, the Audi A4 is available from €349 per month PCP. The model comes with the option of a special limited edition A4 pack, which includes metallic paint with a choice of four colours, front sport seats, an ambient interior lighting pack, and 18” alloy wheels. This comprehensive package price is retailing at €1,500, which represents a customer saving of some €1,300. Boasting the latest in tech infotainment features, the Audi Q2 is the latest successful addition to the Audi automotive range. With a progressive design and a high level of functionality, the Audi Q2 is available from €309 per month PCP. For motorists seeking an even more luxurious drive, the Audi A6 offers a special finance package. With an APR of 2.9 per cent, the Audi A6 is now available with enhanced design and the latest features, such as Audi MMI navigation plus with touch pad and an interior lighting package, with prices starting from €389 per month PCP. 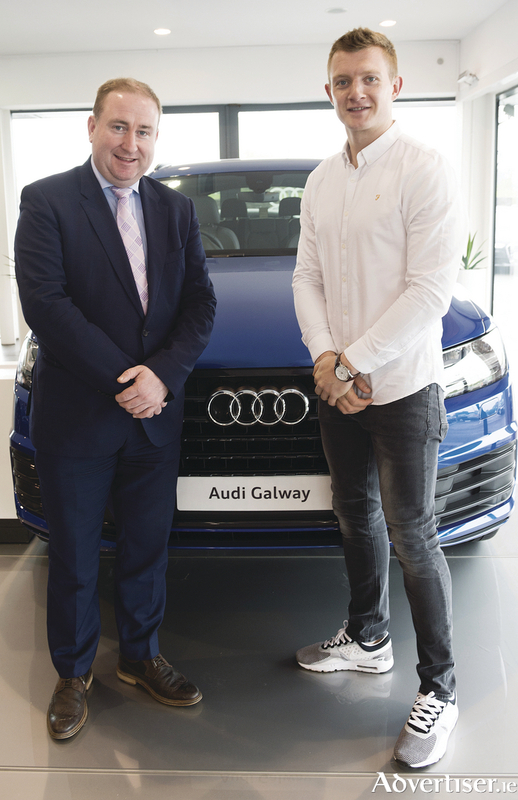 Nigel Buckley, dealer principal, Audi Galway says for a limited time only, customers can avail of a number of exclusive upgrade packages across the range. “At Audi Galway, we constantly strive to offer a premium and unmatched customer experience. The event aims to encourage customers to visit the Audi Galway dealership and test drive the spectacular 172 Audi range, which includes the masterfully redesigned Audi Q5, which holds a sporty and taut stance on the road and the Audi A5 coupé and A5 sportback kitted-out with the latest cutting-edge technology." For more information visit the Audi Galway dealership. Offer runs until July 31, while stocks last. Terms and conditions apply.